There is no information on the My Club 8 website indicating who owns or runs the business. The My Club 8 website domain (“myclub8.com”) was privately registered on January 10th, 2017. A March 13th press-release published on a Laguna Blends investor website identifies Laguna Blends as owners of the “Club 8 online marketplace”. Laguna Blends markets Hemp products utilizing its B to B Network along with driving traffic to its Club 8 online marketplace. Laguna Blends, a Canadian company, identify themselves as a ‘product development, sales, marketing and distribution company for Hemp based products and solutions‘. Heading up Laguna Blends is President and CEO Ray Grimm Jr.
Grimm (right) joined Laguna Blends as President last May and seems to have since taken up the position of CEO as well. A 2010 article from by the San Diego Reader delves into Grimm’s MLM history as then CEO of Actis Global Ventures. The company chief executive, Ray Grimm of Rancho Santa Fe, is a darling of pyramid marketers, as well as San Diego Beautiful People. He owned a palatial home that was used for movie sets. He still lives in the tony Ranch, and folks swoon over his collection of Lamborghinis. He’s not so beloved in government circles. He had been a cofounder of Carlsbad’s USA Inc., which sold supposed health products. Then the Food and Drug Administration said the products were unapproved and misbranded. USA closed and Grimm moved on to Uni-Vite, which hawked diet food from Carlsbad. The company went public by merging into a Nevada shell company, running afoul of the Securities and Exchange Commission in the process. Grimm then moved to still another Carlsbad multilevel marketer, Body Wise. But the Federal Trade Commission charged that the company made deceitful weight-loss and cholesterol-reducing claims. In the year 2000, Grimm and his wife set up FemOne to peddle so-called nutritional and skin-care products (also from Carlsbad). FemOne stock initially soared, getting to $1.70. Four years ago, the name was changed to Actis Global Ventures. The multilevel marketing firm kept selling the products for women and added another wrinkle: gizmos to combat electromagnetic radiation. Other MLM companies Grimm has been involved with include Xyngular and Terry Lacore’s bHip (President). Why none of this information is provided on the My Club 8 website is unclear. Read on for a full review of the My Club 8 prelaunch MLM opportunity. In the aforementioned Laguna Investors March 13th press-release, Laguna Blends announce the acquisition of The Target company. This acquisition is a major step forward in establishing Laguna as an international leader in the global cannabis industry. The Target company has an extensive portfolio of intellectual property and hemp driven CBD products including isolates, full spectrum oils, pain creams, oral sprays and other nutraceutical products. This appears to be the basis of My Club 8’s product line, although specifics at this time have not been made public. I have seen marketing material for a “Nano Drops” product. 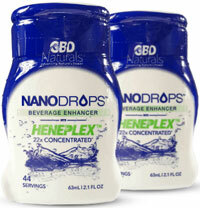 With Nano Drops you can now infuse your favorite water or beverage with the Anti-Inflammatory, Antioxidant, Neuroprotective benefits of Hemp CBD. Pricing is $39.95 for two bottles but I believe this is affiliate pricing and not retail. Update 10th August 2017 – Post launch My Club 8 ran with a unilevel compensation plan, however this was scrapped in late April. My Club 8 are running a different compensation plan to the one they intend to launch the company with. I do intent to review the full my Club 8 compensation plan when the company launches later this month. The analysis below however pertains to the company’s current prelaunch compensation plan. The My Club 8 prelaunch compensation plan is built around the concept of “locking in” an affiliate position for $39.95 plus a shipping fee (this matches up with the Nano Drops pricing). Once purchased, a My Club 8 affiliate position is placed into a straight-line queue. The significance of this is not evident in the My Club 8 prelaunch compensation plan. What “locking in” a My Club 8 affiliate position does do is pay commissions through five levels of recruitment. Commissions are paid out at a flat rate of 2.5% of affiliate membership fees paid by affiliates recruited into the unilevel team. When a My Club 8 affiliate signs up, they automatically qualify to earn down five levels of recruitment. This can be increased to 100 levels via a My Club 8 affiliate’s personal recruitment efforts. The bonus pools are each made up of $5 from each affiliate membership fee paid. Shares are paid out equally to all pool qualified affiliates. My Club 8 affiliate membership is $39.95. Signing up for an optional $99 monthly autoship increases an affiliate’s income potential through the My Club 8 compensation plan. Nothing is marketed to or sold to retail customers, with all commissions generated and funded via direct and indirect recruitment of new My Club 8 affiliates. The bundled Nano Drops product is neither here nor there, with the “locking in” of a My Club 8 affiliate position the primary motivator for signing up. In any event, a product bundled to an MLM opportunity that pays on recruitment of new affiliates is a product-based pyramid scheme. If affiliate recruitment were to cease, so too would commissions paid within My Club 8. Going forward this is likely to cause My Club 8 problems later down the track, as the business opportunity is currently all abut affiliate recruitment. This attracts MLM underbelly scammers, who scramble if the company tries to change to a legitimate business model post-launch. This guts momentum, with what’s left of the company dragged through a drawn out collapse. Time and time again this has played out in MLM companies that have launched with pyramid scheme prelaunch models. The bait and switch simply doesn’t work. That’s assuming My Club 8 goes legit post-launch, failing which they’re begging to be shut down by a regulator. As per the My Club 8 website, the company is currently in prelaunch until April 22nd. Unless you’re keen on scamming people through pyramid recruitment, avoid at all costs (no pun intended). BehindMLM has published an updated review of My Club 8’s current MLM offering on August 10th, 2017. Clearly the people backing this have dubious backgrounds. And I have checked out the products, they are simply jumping on the hemp/cbd bandwagon as their stuff have such a tiny amount of cbd in them that they are pretty much useless. Gives both network marketing and the cbd industry a bad name. You did this when we were in prelaunch. I suggest you and your loyal followers revisit it. We don’t charge. We don’t require you to join to purchase. We pay 20% commission on retail customers and an additional 17% on the other 5 levels. I suggest when you bash a company in prelaunch you revisit often or make the effort to reach out to one of the distributors like myself. Since when was accurately reviewing a company “bashing” it? The review is clearly stamped “prelaunch”, so I don’t know why you expected a review of anything post launch? If My Club 8 has made significant changes to their compensation plan post-launch, obviously the issues cited in this review were accurate. I’ll add My Club 8 to the review update list, but let’s not pretend this isn’t the plan they went into prelaunch with. I don’t like that they charge a fee for you to actually receive your compensation. That’s not mentioned anywhere when you sign up or purchase. Never seen that with any other MLM.